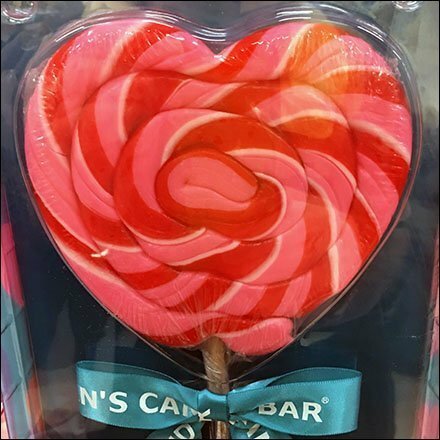 Given the generous proportions, this Dylan’s Candy Bar Valentine’s Day Lollipop is surely of the all-day sucker variety. And heart-shaped it helps you celebrate and support the Holiday all day long. Cynics among you may suggest that the offering is made from recycled and reshaped swirly Christmas Candy Cane. But I say “No.” I cannot imagine the House of Dylan resorting to such remanufacturing. After all, Dylan Lauren is the daughter of designer Ralph Lauren.